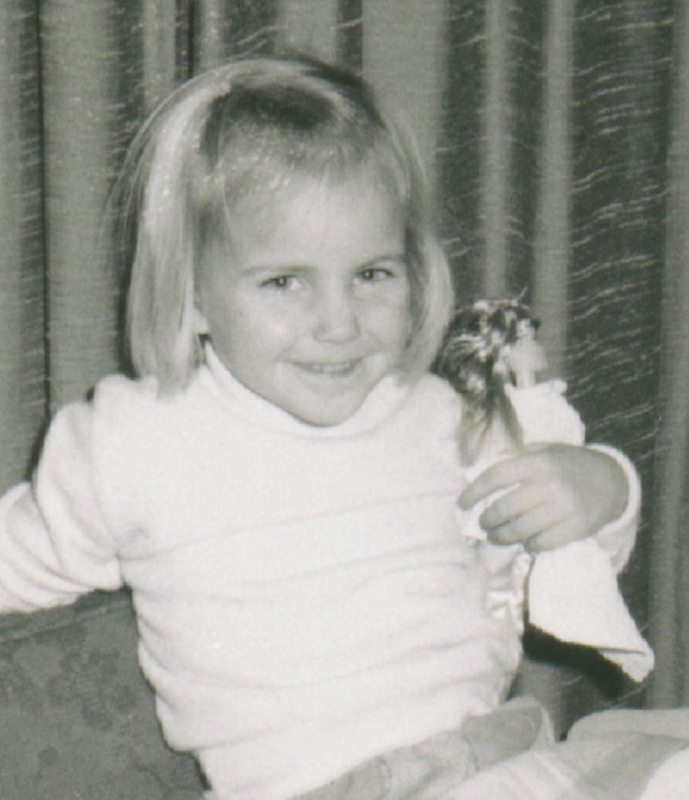 In 1963, I was born into the Barbie Generation – a group of women who never knew life without Barbie. On my third birthday, my mother baked an angel food cake, stood Barbie in the center, and with fluffy pink frosting created a prom-esque gown. 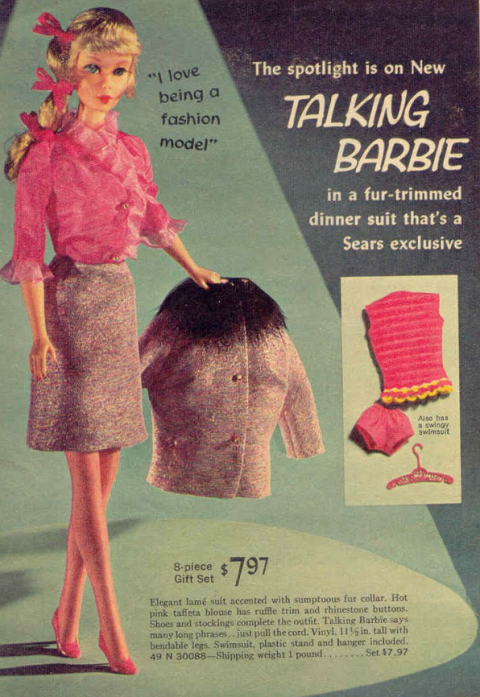 My mother loved Barbie and sewed my sister and me all the latest fashions for our dolls. 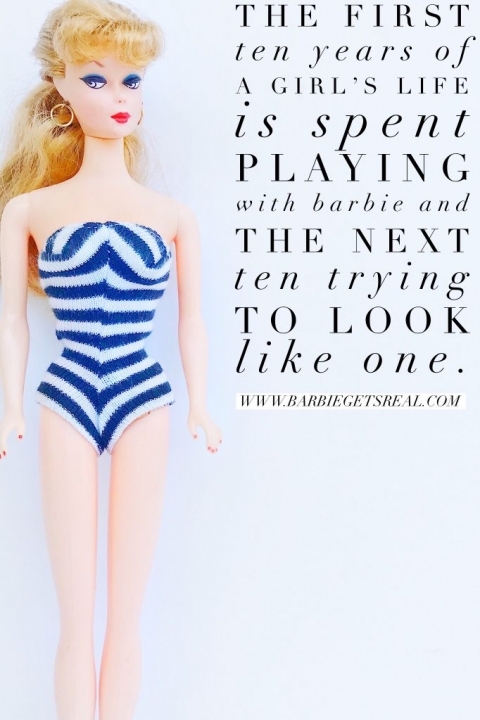 The first ten years of a girl’s life is spent playing with Barbie and the next ten trying to look like one. 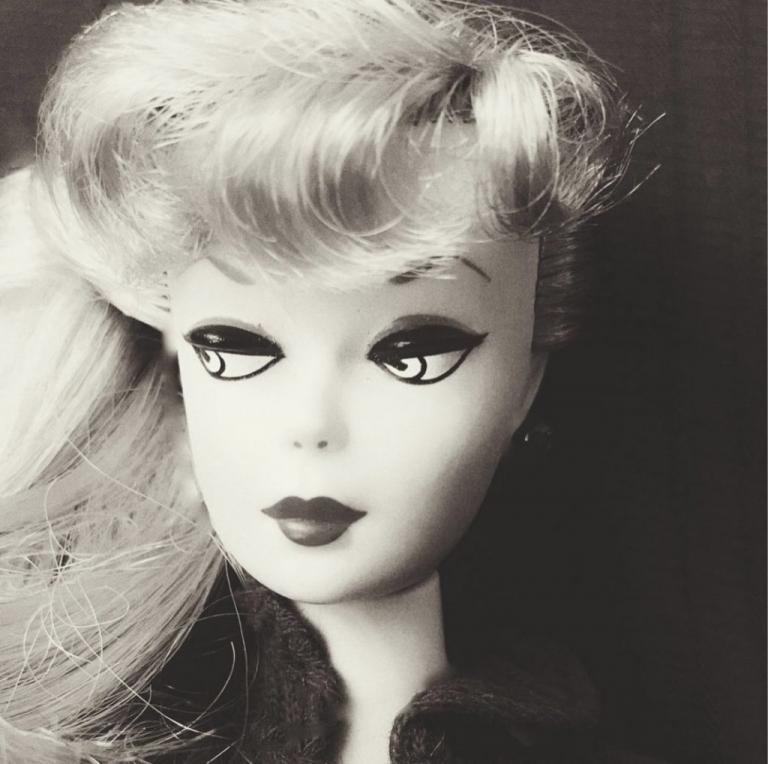 I grew up in Barbie’s shapely shadow and I hoped – that if I survived my gawky adolescence and grew into my extra-long-legs —I would emerge Barbie-fied. I could Follow in Barbie’s tiny footsteps. I hoped – that I could work as a teenage fashion model. My life closely resembled the “If you were a fashion model like Barbie” commercial. At sixteen, I moved to Paris and became an international Ford Fashion Model. I thought it would be interesting to try and recreate a couple of my modeling photos for my Barbie Gets Real Instagram / dollstagram account.